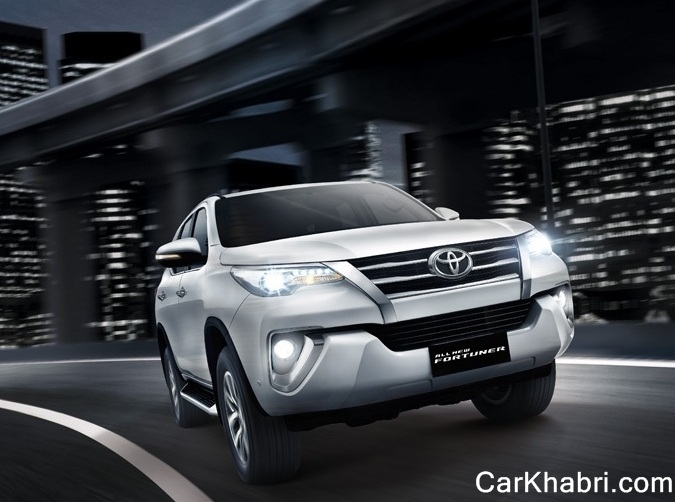 According to recent reports TKM (Toyota Kirloskar Motors) the Indian alliance of Japanese car maker Toyota is speculating to launch the groomed version of its SUV Fortuner in Indian car market during the month of November. The decision regarding launch of new Fortuners came into action after decision of Supreme Court removing the ban on diesel vehicles with more than 2000 cc displacement capacity in Delhi and NCR region. It is reported that spies have caught the new Fortuner being tested camouflaged on several occasions. The proposed SUV is already on sale in countries like Australia, Thailand and South Africa. In its new avatar the upgraded Toyota Fortuner will be offered with two engine option of 2.4 litre GD and 2.8 litre GD, with former producing the power of 148 bhp and torque of 400Nm and later churning the power of 175 bhp and torque of 450Nm. The transmission system will be looked by six speed manual and automatic gear transmission system. It is believed that along with diesel variant the refreshed Fortuner will also be offered in petrol variant which will be boosted with 2.7 litre four cylinder dual VVT-I petrol engine generating the power of 162 bhp and torque of 245Nm. Sources close to industry reveal that in its dress-up Forutner will carry more aggressive and dynamic look as compared to its existing avatar. This will be witnessed on newly developed sportier bumpers on both front and rear portions. Similarly the headlamps and tail lamp also receive new treatment and now t hey look thinner and wider. 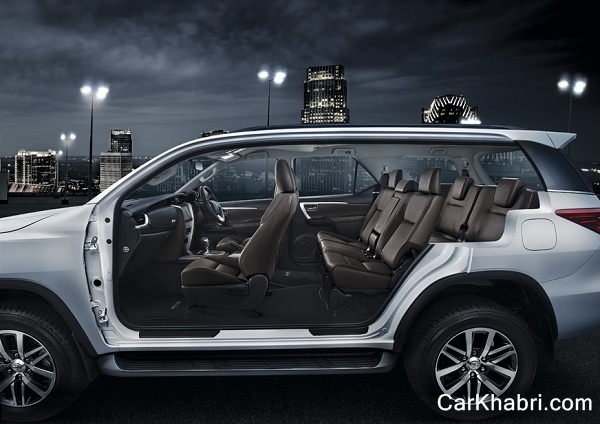 Other features adorned in new Fortuner are Traction Control System, Down Hill Assist Control system, electronic driver seat, reverse parking camera and cruise control system. Physically generation next Fortuner will have the length of 4,795mm, height of 1,835mm, width of 1,855mm and wheelbase of 2,750mm.